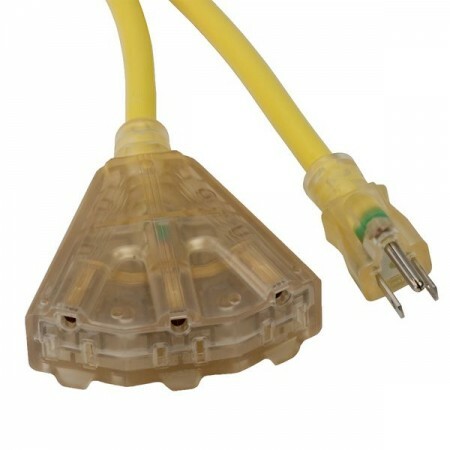 This extension cord comes with a single male plug and a 3 outlet female end. Outlet end lights up when power is applied. 100 in length with a 12/3 gauge SJTW cold weather-rated cord rated at 15 amps. OSHA NRTL Compliant.